Aiden Christopher will probably never be elected class president. He’s a born follower, and his parents could not be prouder. At age 2, while waiting with his mother for a table at a busy IHOP, he suddenly took off after an older boy who was walking out of the restaurant with his parents. Laura had to yank on Aidenʼs shirt with a practiced move to restrain him. Aiden, now 7, has already said he canʼt wait to join the military so heʼll be told what to do and not have to make decisions. Such followership skills are already evident. For the local Chinese New Year parade, Aiden was selected to be inside the tail of the long dragon costume. He loves to wait in line. He shows up early for events, and then politely offers his place to latecomers so they can go first. There are leaders and followers in the animal world, too. 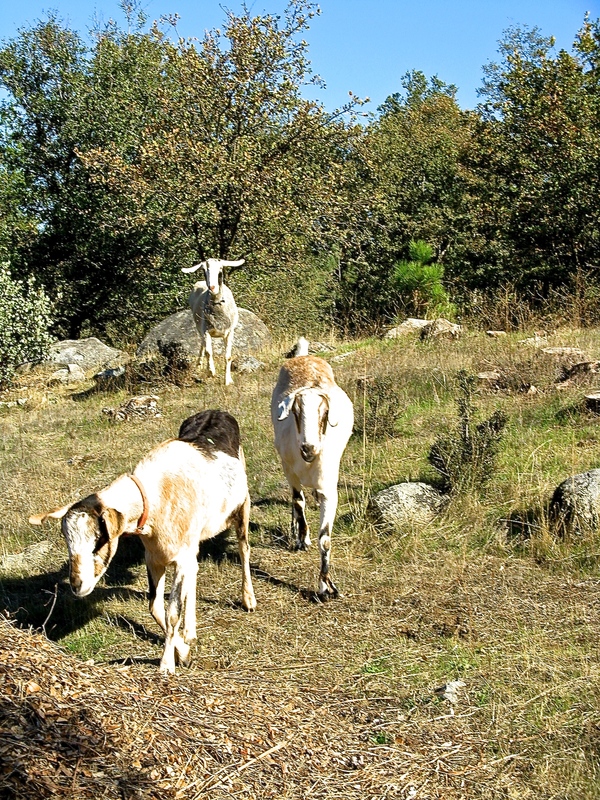 Jerry, in front, has always been boss goat. Freddy and Ben happily trail along behind him. Tags: followers, goats, leadership. Bookmark the permalink.